You can’t protect your kids from every cold and virus out there but you can boost their defences to help them fight off any infections they may get. 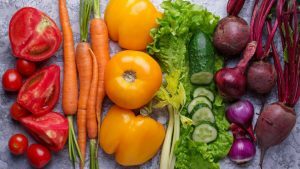 Probiotics, cutting down on the amount of sugar they get and ensuring they get enough vitamin-rich vegetables are three ways you can help boost their immune systems. 80%of the immune system is located in the gut, so one of the best ways you can improve your child’s health is to nurture their inner ecosystem. 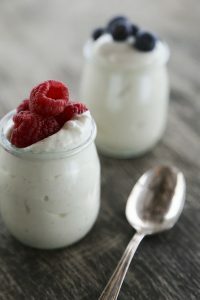 Probiotics are also found in cultured/fermented foods, so try introducing your kids to coconut yogurt or adding a spoon of quark to natural flavoured yogurt. You can get some delicious coconut yogurts in your local health store. 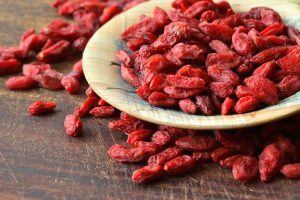 Goji berries are great for boosting the immune system and they are delicious too which makes they great to give to children. They’ll love the taste and not even realise they are eating something that is good for them. Check out some great recipes HERE to help incorporate them into their (and your) diet. 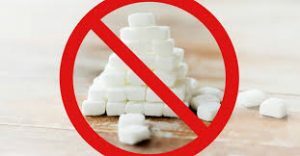 Sugar suppresses the immune system so it’s best to try and cut out as much as you can in their diets. Instead of cane sugar, why not try some healthier alternatives like Lucuma Powder, figs and Agave nectar. Children often turn their noses up at vegetables. Try sneaking kale and broccoli into your next pesto and don’t underestimate the profound impact of herbs; parsley is rich in many immune-boosting minerals including vitamin C, K and A. Finely chop this alkaline herb and add it to your next bolognese, or lasagne. Blending veggies and chopping them up really small can also help you sneak them into your kids diet! Another idea is to try covering up lumps of veg in cheese.